The FAA requires that all drones greater than .55 pounds and less than 55 pounds be registered with the FAA and given a registration number. You can do this by either registering online or using a paper-based registration process. UAV’s that are not flown as model aircraft must be registered individually by the owner. Each registration is only $5 so it won't break the bank to be an aerial pilot. Find out more about registering your drone HERE. Friendly Reminder: You must have the FAA registration certificate in your possession when flying, and are required to show it to any federal, state, or local law enforcement officer upon request. Wake up, lace up, and put the work in as an investment in yourself and your future. There are a wide-variety of powerful training courses out there to teach you the material you need to know, but at the end of the day, however you decide to study, make the commitment and put in the time to become an FAA-licensed drone pilot. The testing facility will require you to bring proper identification. Prior to scheduling, please ensure you clarify what is required at your specific testing center. The cost of the test will most likely be $150, which will be paid to the testing center, either online or by phone. You now have all the information for moving from a drone hobbyist to become a Certified FAA commercial pilot. Congratulations! You are now one step closer to legally flying your drone for commercial applications. Whether you are flying for real estate, media, construction or any other commercial industry, receiving your drone license is a huge first step in any professional pilot’s flying career. Once you have taken and passed the exam, you are still not technically a licensed drone pilot. Not to worry, the next step is very simple. To receive your drone license, go to https://iacra.faa.gov/IACRA/ and register for an account. Known as the Integrated Airman Certification and Rating Application (IACRA), this is the FAA Airman Certificate and/or Rating Application. Once you have registered, this web-based certification/rating application ensures you meet the requirements and electronically submits the application to the FAA's Airman Registry. 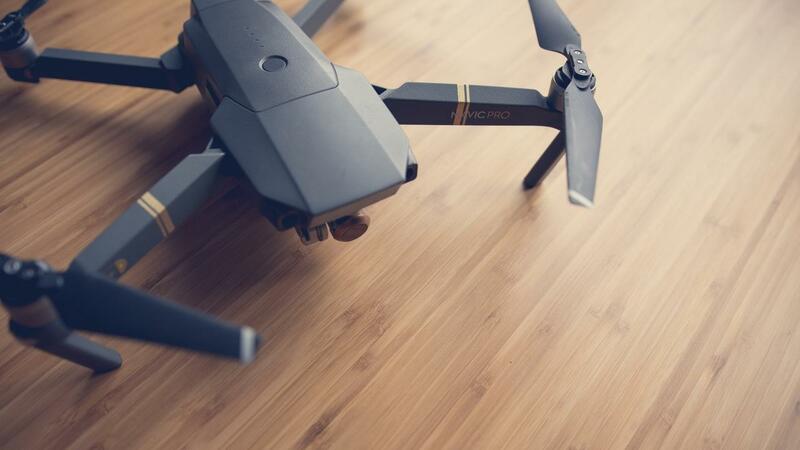 Within 10 days, your application should be validated and will allow you to print out your temporary drone license, which is valid for 120 days. All you have to do now is wait for your real drone license to come in the mail. Once you have passed the exam, registered with the IACRA, and received your physical Part 107 Certificate, you are now a commercial drone pilot. From here, you are free to fly drones for commercial applications and are responsible to operate under the Part 107 guidelines outlined throughout the exam. Make sure to always keep your license with you when operating your UAV. Be sure to stay on top of your renewal, which happens every 2 years. So, there it is! The complete cheat sheet on how to become an FAA Part 107 licensed pilot. The merits of drone technology are endless and we are just at the brink of unleashing this technology to assist hundreds of commercial industries.